I just watched Citizen Jake, a film directed by perhaps the most outstanding Filipino filmmaker still making films today – Mike de Leon (who also directed some of the classic Pinoy films including: Batch ’81,Sister Stella L, Kung Mangarap Ka’t Magising, Kakabakaba Kaba, Bayaning Third World)). I went to see it on its first day of showing in a downtown cinema in Davao City, afraid that if I wait another day, it will no longer be showing publicly… either because the State will censor it or so few will go watch it that the cineplex will pull it out (given the notorious first-day/last-day syndrome of consumeristic cineplexes in this country). Citizen Jake may be shown nationwide starting today (May 23) so PEOPLE … Pinoys everywhere … if it is still showing … DROP EVERYTHING AND GO WATCH IT. If this is the only film you will watch this year, then you would have made a very sound decision. Methinks, it is perhaps the ONLY Filipino film worth seeing this year!!! Do not take my word for it; go watch it yourself. It will make you love your country a lot more, make you care about what is happening today in this troubled nation, help you remember what the Marcoses did to enslave all of us during all those years of martial rule, convince you that the old monsters of the past have been resurrected in the present, why the position of being a politician (Senator, Congressmen) are inhabited by idiots in this country, and make you appreciate the power of film as art that mirrors concrete realities and how it blurs the distinction between fact and fiction to reveal truth to vanquish its manipulation. One can only wish that the Marcoses and all their vast supporters in this land and not just those in the north, all of the current President’s men (from the Cabinet to all those holding key State positions), all politicians, all military men and policemen, staff of the US Embassy, all starlets like the R.V.s of the Marcos years (and yes bloggers, too, especially Mocha) will go to cinemas and watch the film and see where they fit into the storyline! One prays for a miracle that this film becomes a BOX-OFFICE hit … as it is already a critical hit for those who truly appreciate fine cinema!In fact, the internet right now is abuzz with a number of well-written favorable reviews of the film since it got shown yesterday! I would wholeheartedly endorse this film for many reasons. 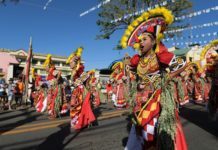 Naturally and primarily, it arises out of a sense of frustration – bordering on depression – with how the political landscape has evolved through the years since EDSA I in 1986. This is especially so if one locates his residence in Davao City which — once upon a time during the Marcos regime known for the people’s staunch opposition to martial rule — has now become Ground Zero in terms of the people’s adulation for the sitting President. Mainly for the reason that he is a native son who rose from local politics to now serve as the most powerful person in this country. 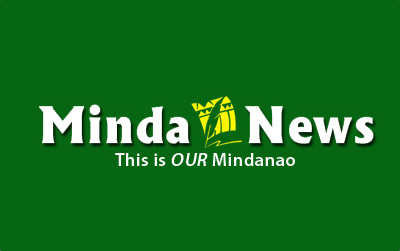 Whereas Davao City was site of many groundbreaking approaches to resisting the Marcos dictatorship, today many of its citizens have forgotten just how abused the Filipino people were under that dictatorship. Today, because of a phenomenon duplicating the Ilokanos’ loyalty to Marcos, Dabawenyos would push away the memory of martial law for reasons that the critical mind would not consider rational. And this amnesia has been passed on to their children and their children’s children. Fortunately, there is Mike de Leon and this film Citizen Jake. If only to force us to unmask the lies being peddled that the Marcos years were the best years of this Republic, De Leon has served as today’s patriot. Not that he is the only one, as there are other voices out there who have consistently – like the child in this story – referred to the Emperor as having no clothes (or more precisely – a wolf in sheep’s clothing). But film is film, and de Leon’s filmography is one of the most outstanding since Filipino cinema was born. With this film, with a lot of anger and courage, he prophetically denounces a society that is corrupt and where the wealthy and powerful lords it over the poor and the weak. There is no attempt here at subtlety, the script names names and hits the nail right on its head. But more than the fact that this is a truly politically relevant film, Thus, it is a film to be discussed in any social science class for so many theories are implicated based on the praxis it paints on the screen canvas. It is also Art. Its aesthetics as film assures that this will be part of De Leon’s rich film legacy that future generations of Filipinos will view and be touched to their core. While there are flaws – and not consider the various constraints that the filmmaker must have faced while filming this kind of film – these are minor and could easily be ignored. Filipinos will take pride that they can produce films like this that compare favorably with all others winning awards from Venice to Cannes. There was a Lino Brocka once, but he has long been gone. We still have the likes of Lav Diaz and our very own Arnel Mardoquio, Teng Mangansakan and Sheron Dayoc, but while they, too, are making waves in the kind of artistic but also politically-charged films, there is still an element that only a Mike de Leon film can bring. Namely a kind of style of filmmaking that is unique to him alone. It was clearly manifested in Bayaning Third World, and that style arises again in Citizen Jake. It borrows elements from theatre to good effect which might confuse some viewers, but actually highlights the blurring of the lines between fact and fiction, truth and lies. To actually see a filmmaker bravely following this kind of style, one is utterly amazed. 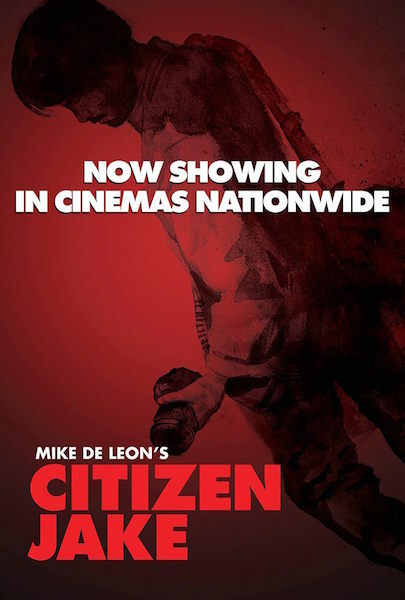 And yet, it is a sad commentary to us Filipinos, that only a few will go watch a film like Citizen Jake.It is ironic that this film would attract more paying viewers if the State – repeating the days of Imelda Marcos – would censor this film! Then it would attract a bigger audience. But one’s hunch is that this current State will ignore this film, even if I will not be surprised if a Congressmen will either file a case in court for libel, or file a resolution in Congress and approved by the majority demanding an apology from the filmmaker and its producers for defaming them!